I have a friend (love you Leslie!) that is putting together care packages for our soldiers overseas! Part of them will be cards from people that donate them, with a message inside. These are my first 2, I have more to go! If there were only more time in the day! 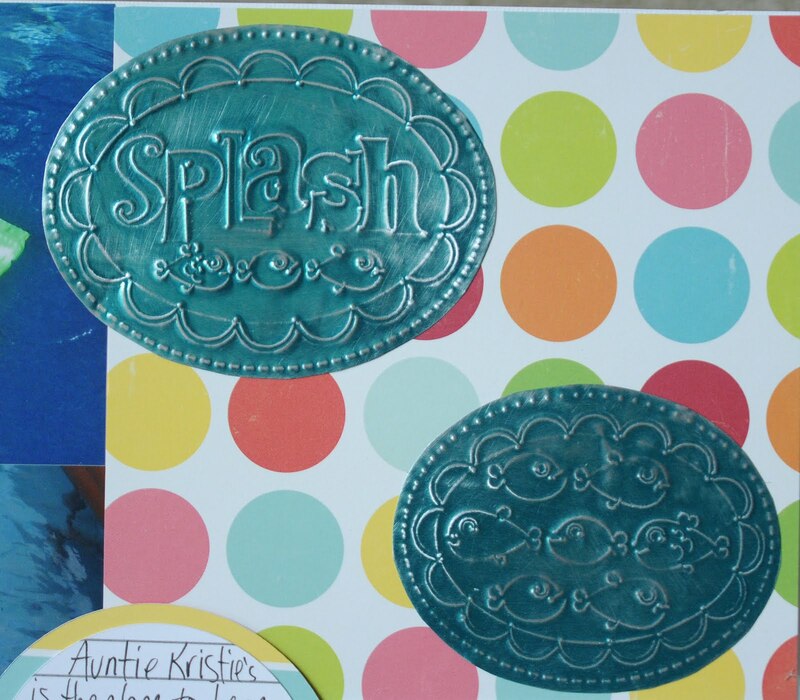 I made the cards using the Chomas Creations mini gel pen holder for the background circles using Graphically Speaking. 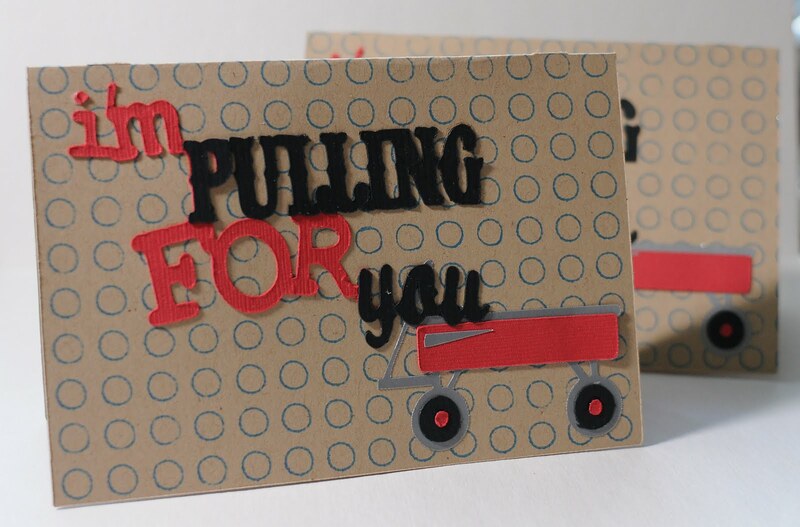 The sentiment is from Just Because Cards, as well as the wagon. 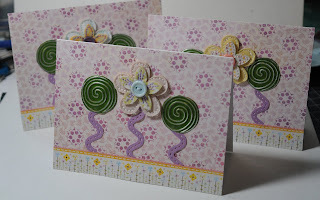 I also used the Chomas Creations embossing/scoring kit to score the cards. 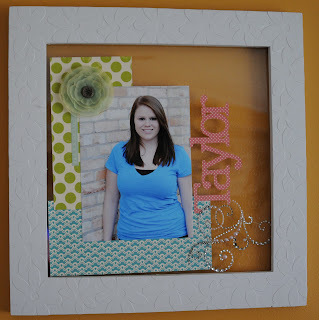 She is also having a challenge to win a set on her blog! All you have to do is use pens in your project! 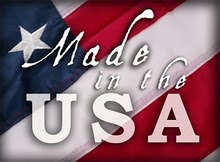 This was one of my favorites, and being that you all know how much I love the USA, you should also know that the 4th of July is one of my favorite holidays! I fill with such pride every year watching the fire works thinking just how fantastic our country is! Great news at the Chomas house! One big project DONE! Now if only the Michigan weather would cooperate so I could use it more! This is the deck my hubby put up with help from friends, and from me! A ton of the deck boards and the hand rail was done by me! I have the blisters to prove it hehe! So here it is all done, now everyone keep your fingers crossed for some warm days ahead! 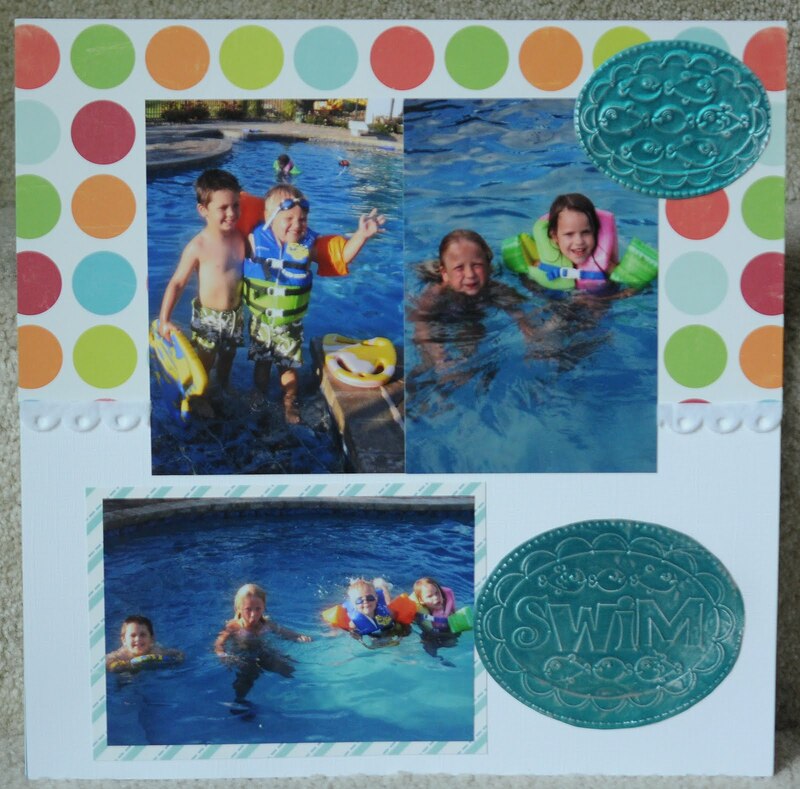 I have big plans on keeping the kids busy this summer hehe! This just in.... Embossing kits for the Silhouette are now in stock!! They are now in stock and shipping! The embossing kit for the Silhouette includes the embossing tip and an embossing mat that fits on an existing Silhouette mat. Works best on metal sheets and vellum. And how cool is this? 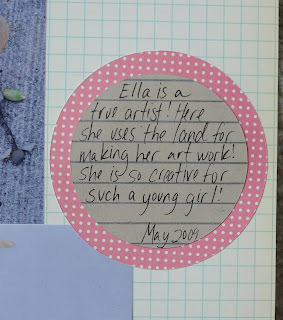 The embossing tip is PINK! All pre-orders have shipped today! 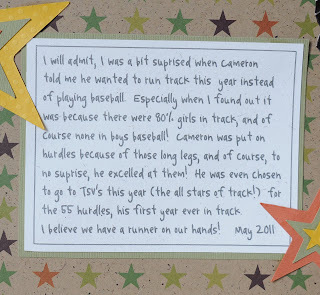 Click on this picture to make it larger and read the journaling about why my son wanted to be a track star hehe! 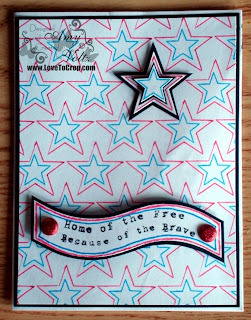 And then be impressed that I did this journaling with the Chomas Creations mini gel pen holder for the Silhouette! Look how small it is and how easy it is to read! 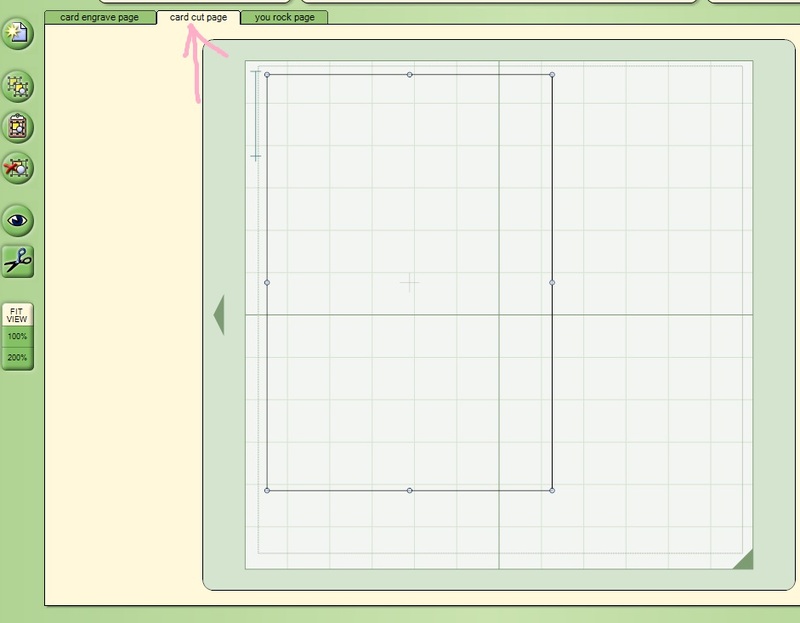 And with the Studio software for the Silhouette it is easy to type the journaling in and pick a font! 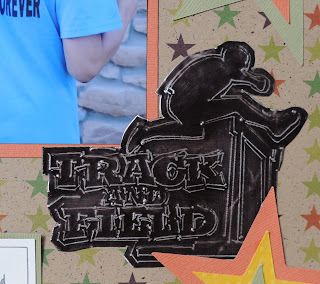 I also used the Chomas Creations embossing kit for the Silhouette to do the track star jumping over the hurdle on this page! 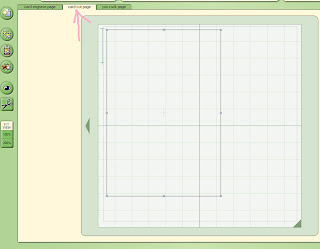 Don't forget if you are going to emboss words, you will have to flip your design in the software so it is facing the right way. After it embossed I sanded off the raised image to make it pop! The stars were also cut with my Silhouette for this page! Well I finished my last father's day card for the year! Some are in the mail, some are on their way hand delivery, and one is waiting for tomorrow for my hubby! Wheeeewh! I did this card using one of the downloads for Silhouette Studio from their store. 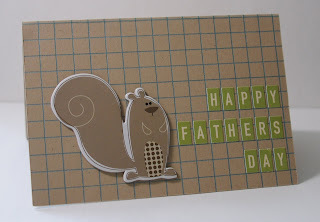 The father's day sentiment looked like it would be fun to do a bit of coloring on! 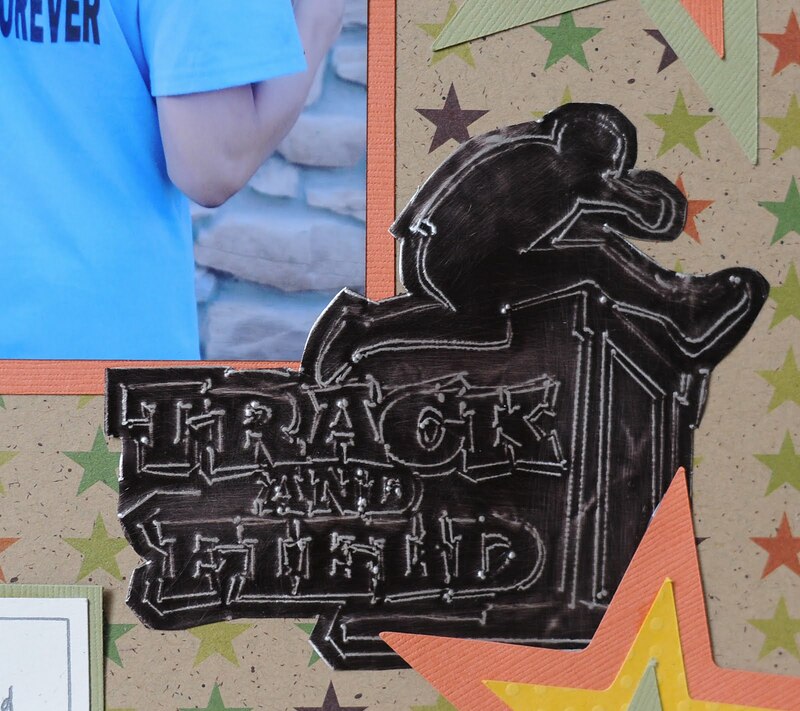 I used the Chomas Creations mini gel pen holder for the Silhouette with the black metallic mini gel pen to draw the father's day sentiment. I let it dry for about 10 minutes and worked on the rest of my card. I then colored it in with the Copic markers, and look, no smearing! Well I am off to build a deck today lol! Making loads of progress and I wll post a pic when it is finished! Hopefully this weekend! I just want to play with the kids, I'm not cut out to be a deck builder hehe! Eeek! How did I not know that Father's Day was this coming up weekend? That means I have a lot of cards to make in a short amount of time! Bring on the Chomas Creations mini gel pen holder lol! No need to find papers as I can make my own with kraft cardstock and the metallic blue Chomas Creations mini gel pen hehe! I thought this graph was also a neat and easy way to line up the tiny alphabet letters on this card! There are tons of small ones out there to use! As you can see there is a LOT to go! At least I'm still being constructive lol! Even if it isn't with paper! Well enough of my babbling! Here are the winners I promised! 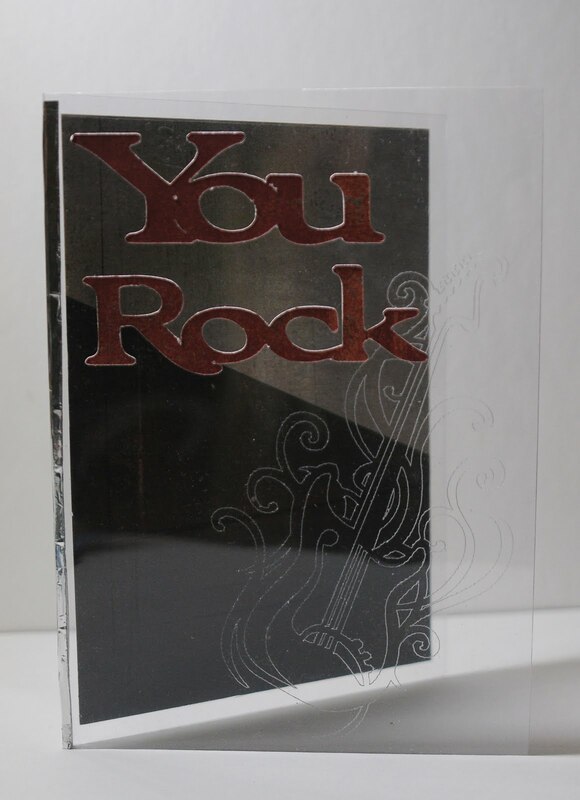 what a great idea using clear plastic for the front of your card. 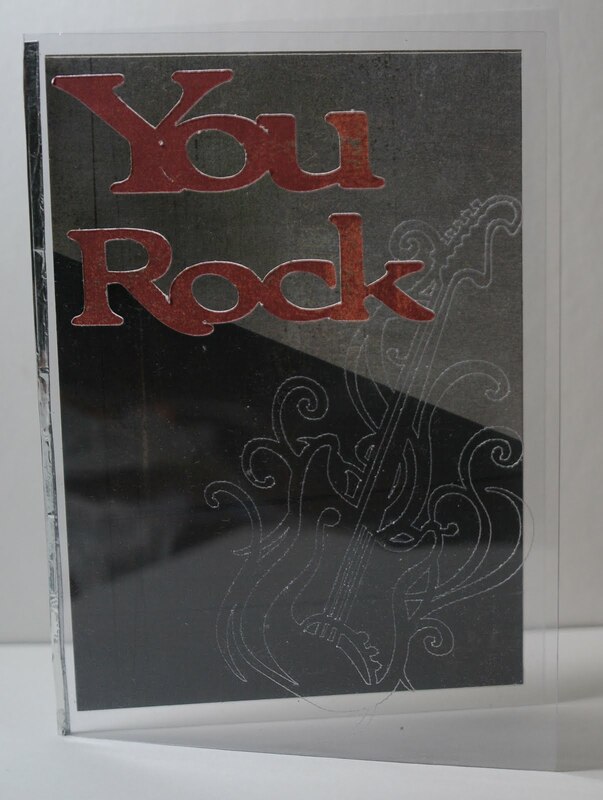 you & your card rock! Littlen, you have a week to contact me or I will have to pick another winner. Congrats!!! Congrats Silvia, you also have a week to contact me. I'm hoping to get a bit of creative time today as hubby won't be home until after 4 and I don't know how to use the power saws, just the drills hehe! So the deck is at a stand still without him! Good excuse, right? I was asked to do purple cards for this hop, and as some of you may know, purple just isn't my color hehe! But luckily I did have some on hand that I found! These are part of Basic Grey's Kioshi line. I used the Chomas Creations embossing tip with the Expression 2 for this project. I've been asked by a lot of ladies if the Chomas Creations tools work with the Expression 2 and the answer is YES! One of the cartridges built in is Just A Note and I used it to make the swirlie embossed flowers for the card. I added some of the ribbon stickers to look like grass and stems for my flowers, then the big fabric flower in the middle. Easy to put together! My project today is for a worthy cause! I've made these cards to send to go to a woman in a shelter, and I'm going to write something encouraging inside to help raise a woman's spirits! I decided to do 3 different ones to send. You just have to go to Faithful Creations to see the amazing gift pack she has going for helping out with this cause! I have a mini prize to offer up as well! Leave a comment here for a chance to win a 10 pack of the Chomas Creations mini gel pens in your choice of glitter or assorted. 1 entry per person and please leave your contact info so I can get to you! 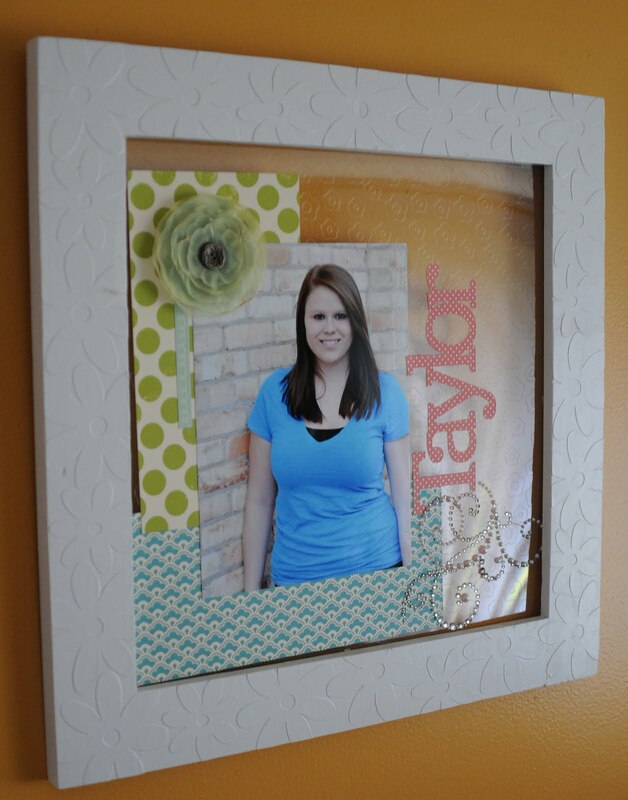 I was in desperate need of a new acrylic frame for my family room (ok, so my frame was sitting empty for like 2 months on the wall, just waiting for a new photo of my daughter, eeek! ), and my daughter had finally liked a photo I took of her (not a small feat! ), so it was time hehe! People have been asking where I get this plastic, as well as the clear plastic I use for the cards, and it is from Grafix. There are 2 different thicknesses I like to use. You can see them both here... Grafix clear plastic The one that is .007" thick is great for making the clear plastic cards I've done in the past. It folds nicely if you score it first. The one that is .020" thick is great to use in frames as I've done to layer the photos and papers on. It is very sturdy and will not fold in half. The Chomas Creations engraving tip gives a really cool look on both of these thicknesses of Grafix clear plastic. 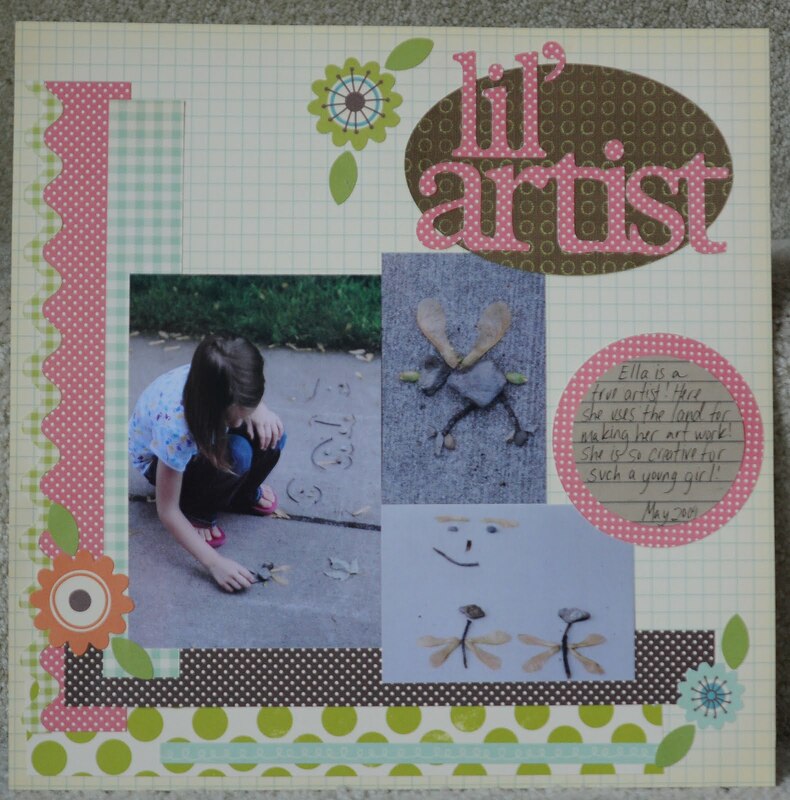 The papers are all October Afternoon, the swirl embellish and flower are Prima. For a better look at these (as they are hard to photograph!) just click on the image. 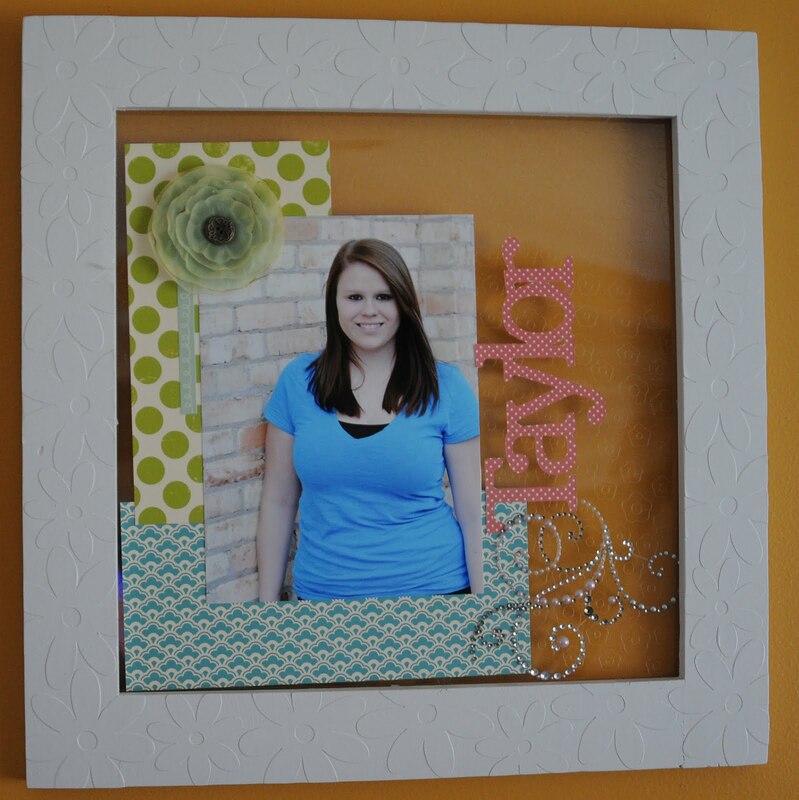 If you were here yesterday and saw my post about the last day of school frame for the teacher, you may recognize part of this project! 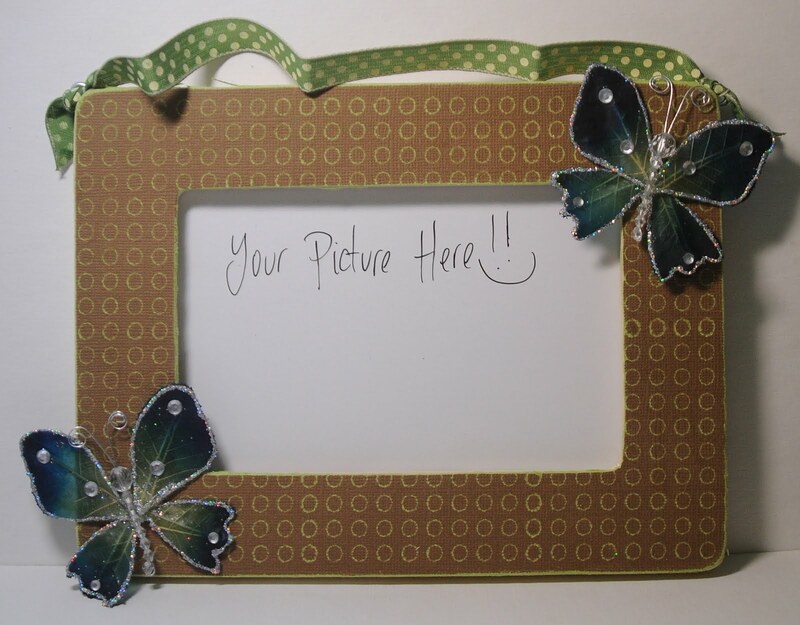 It is the inside of the frame that I cut out using the Core'dinations cardstock, proof that saving your scraps is a good thing! Yesterday I used the Chomas Creations engraving tip with the Core'dinations cardstock making this circle design. 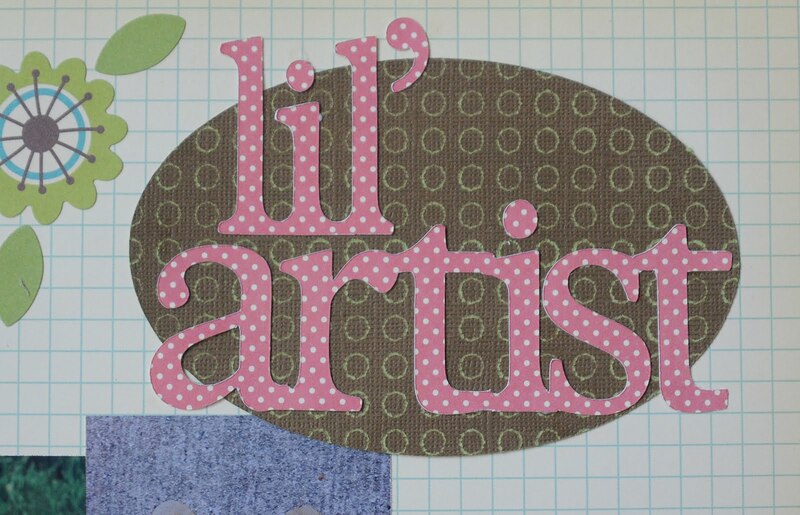 I cut this piece of scrap into an oval and used Plantin for the title. 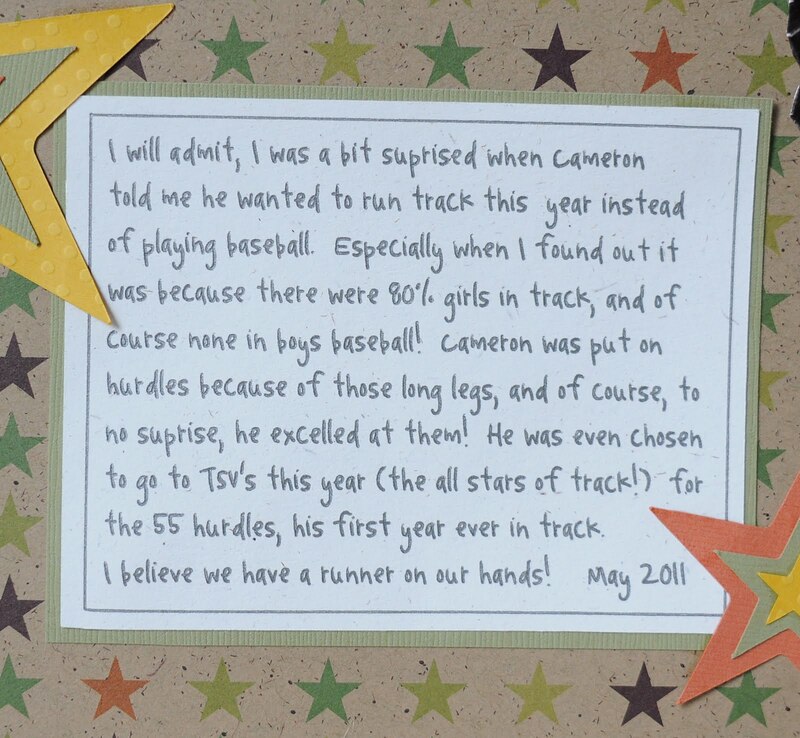 I also used a bunch of scraps I had from this October Afternoon line of papers that I had. This is my lil artist arranging rocks and pieces of helicopters (that is what we call the little whirlies that fall from the maple trees) into art! And there is a 10% discount for the Chomas Creations store here... www.amychomas.com if you enter the code bloghop at checkout. It is officially the last day of school for my kids and this year my youngest daughter just adored her kindergarten teacher. I had started one of my frames for her when my daughter reminded me of just how much her teacher loved butterflies, so I had to go back to the drawing board! I'm glad though because I found these butterflies I forgot I had and now they are going to a good home! 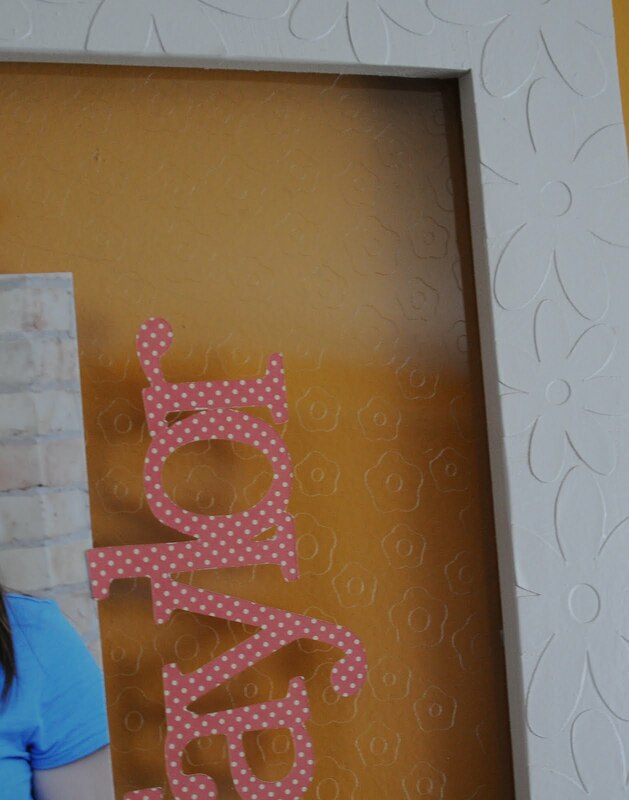 I get these frames that are unfinished wood for $1 at Michaels. They fit a 4x6 photo perfectly. 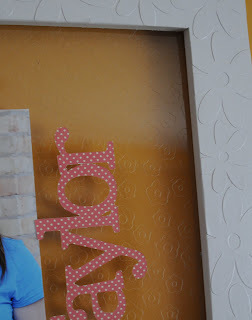 I then paint the sides and use Mod Podge to adhere the paper to the front of the frame. For this one I used Core'dinations cardstock with the Chomas Creations engraving tip to etch these circles into the cardstock. This allows the color behind to show. A light sanding later and you have this neat look! I use eye screws (found at the hardware store) in each of the upper corners, they screw easily into the soft wood of the frame, and then tie ribbon to that. The butterflies were from Prima. I hope she likes it!! My little Ella is just too excited to give it to her! 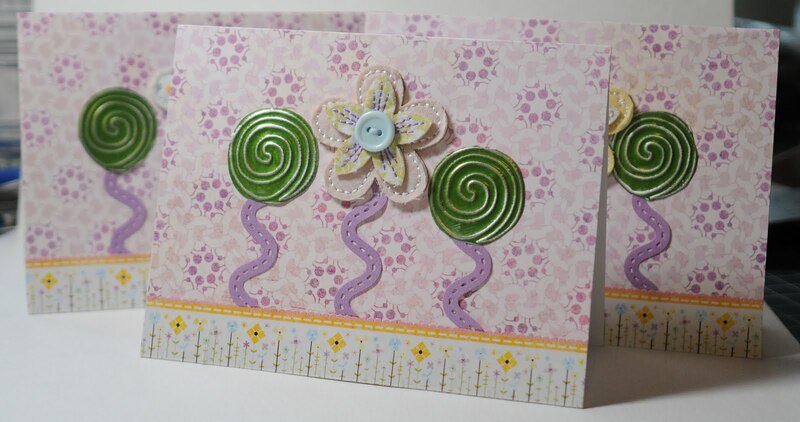 Scroll down to my next post to find out how you can win a Chomas Creations mini gel pen holder and mini gel pens for the Summer Kick off blog hop! It goes till the end of the week! Comment here for another chance to win them! And don't forget, I have a coupon code for 10% off your entire purchase at www.amychomas.com by entering the coupon code bloghop ! 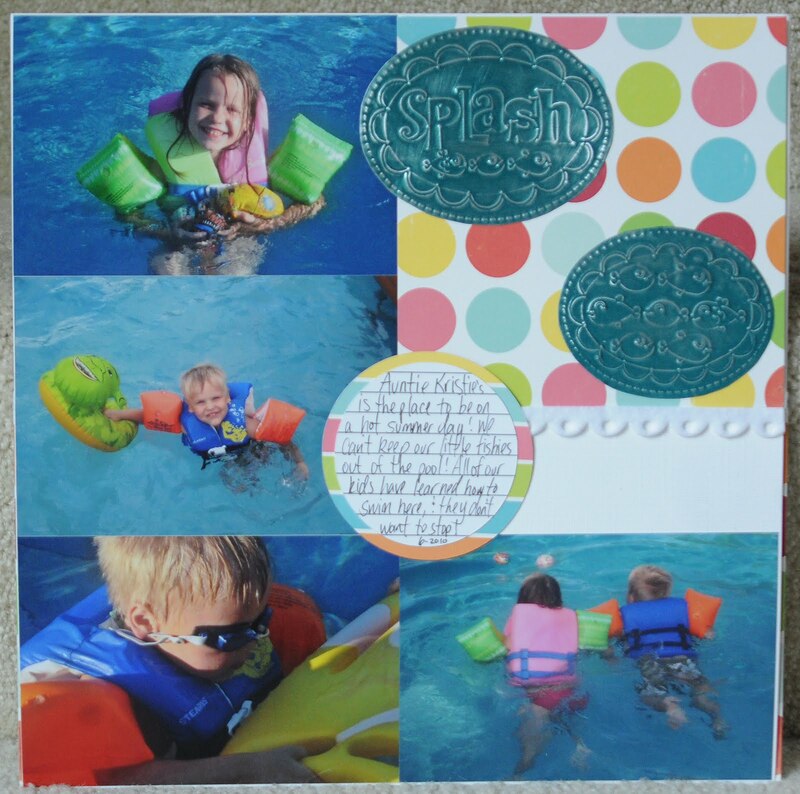 Summer kick off blog hop! 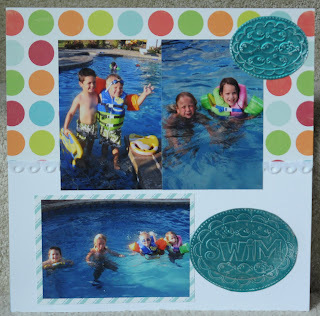 Well it was last minute, but I hopped my way into the summer kick off blog hop! I'm the last stop on the hop so if you came from Frosted Designs you are in the right place. If you just stopped by my blog today and would like to do the hop from the start, head to Practical Scrappers. Well being it is a summer blog hop, and I have a TON of summer pictures from lots of years past, I figured a layout of swimming would fit right into this hop! And being I now have the embossing kits for the Silhouette on pre-order in my store www.amychomas.com I figured why not do an embossed summer layout! 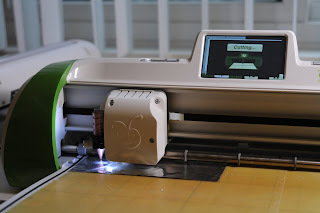 If you don't own a Silhouette, I also have an embossing kit for the Cricut. 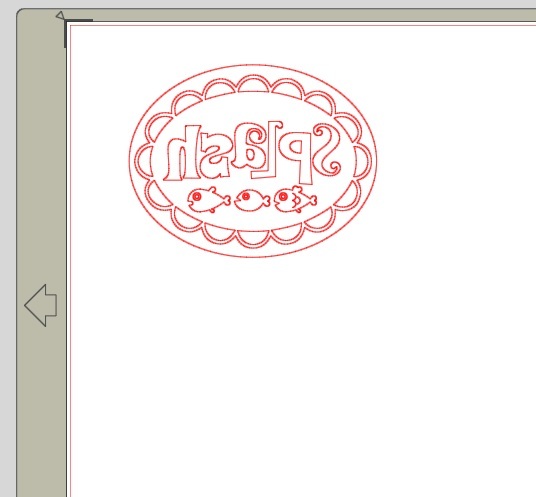 For these cute fishies and titles I used some of the new Echo Park downloads in the Silhouette store. I laid the metal sheets colored side down, and made sure to flip my titles in Studio. This is what my file looked like that I embossed. Here is what they look like embossed, then sanded lightly. I simply cut around the oval shapes with scissors. Here are the finished layouts. The paper is Echo Park. 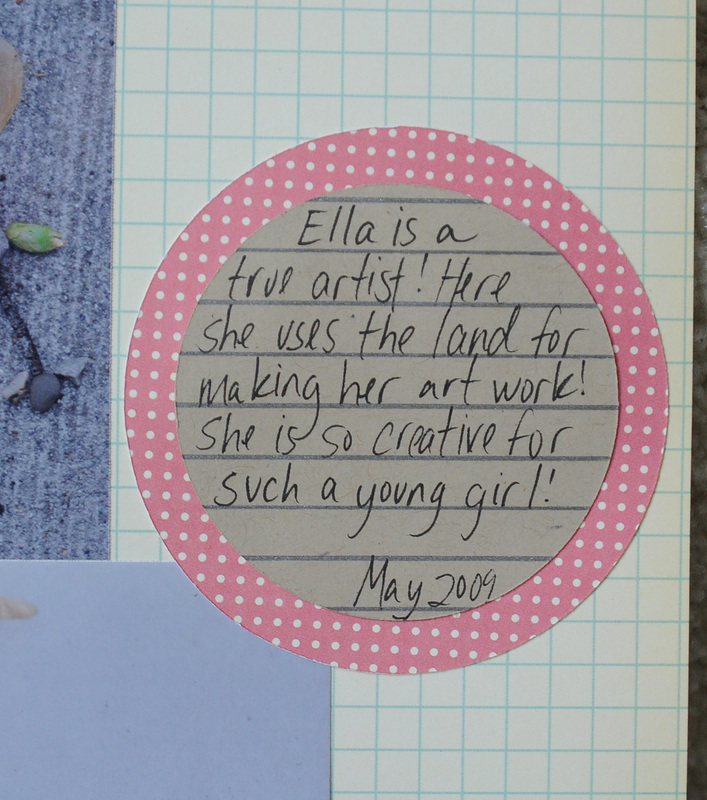 The journaling circle was done with the Chomas Creations mini gel pen holder. I'm part of 2 blog hops this weekend, so if you leave a comment after this post you will have a chance to win a Chomas Creations mini gel pen holder and 10 mini gel pens! And check out yesterday's post for another chance to win! There are a few rules to follow! First, you don't need to be a follower, but why not?? I am often putting up new project ideas, tutorials and videos! Second, don't forget to leave me a way to contact you! Super important lol! And third, only one entry per person (I have to delete more then 1). I will pick a winner at the end of the week. Last, leave a comment after this post for the chance to win! It's that easy! And also I've got a coupon code for my store for the blog hop! 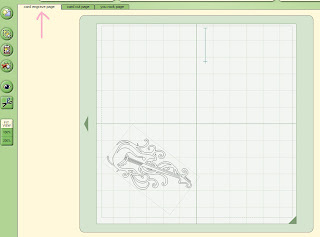 Use the code bloghop at checkout for www.amychomas.com to save 10% off the entire Chomas Creation's line including mini gel pen holders, mini gel pens, mini Sharpie holders, embossing kits and engraving tips all for the Cricut. We also have mini gel pen holders, mini gel pens, mini Sharpie holders for the Silhouette and the embossing kit on preorder for the Silhouette. Here is the line up for the blog hop, make sure you've checked out each stop on the hop! 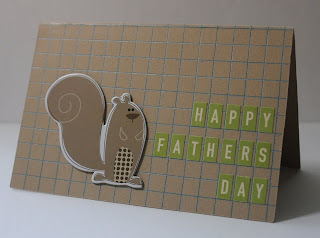 Welcome to the All About Dads Blog Hop! 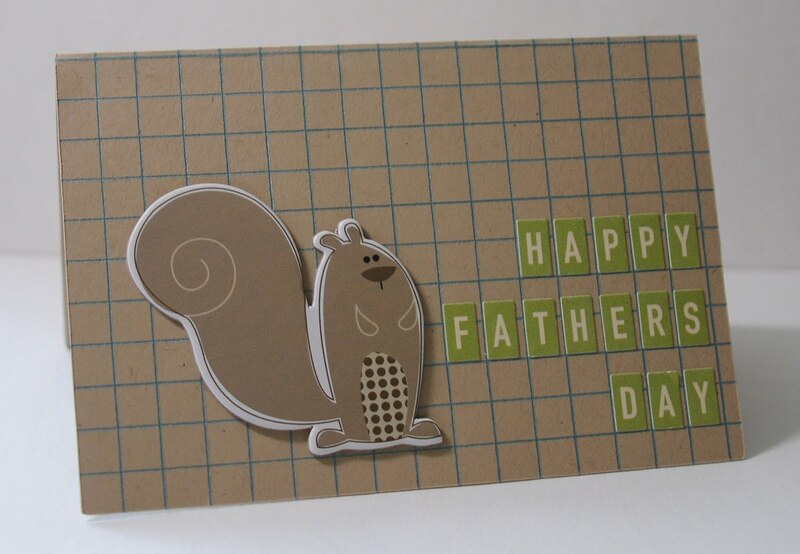 We have gathered a talented group of crafters to share their projects with you for Father's Day. 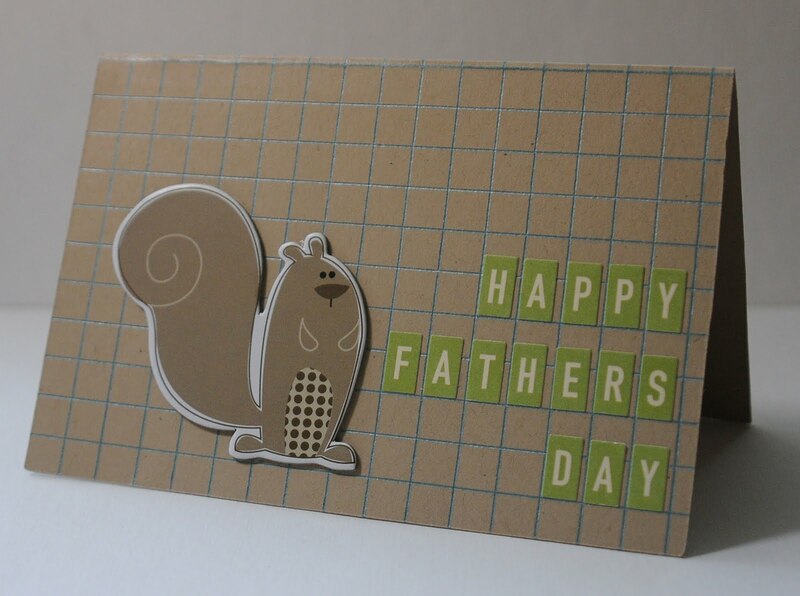 We hope that we are able to provide you with lots of great ideas for all the special men in your life. If you have come from Kristal's at Getting Cricky then you are in the right place. If you stumbled upon my blog and want to hop along, you can do so by starting at Jen's Blog at www.memorieswithjen.blogspot.com. 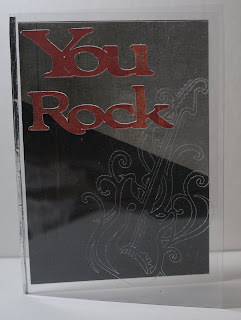 I used the Chomas Creations engraving tip to etch the guitar design from Hannah Montana using Design Studio into the clear plastic, it is the card engrave page in the file. 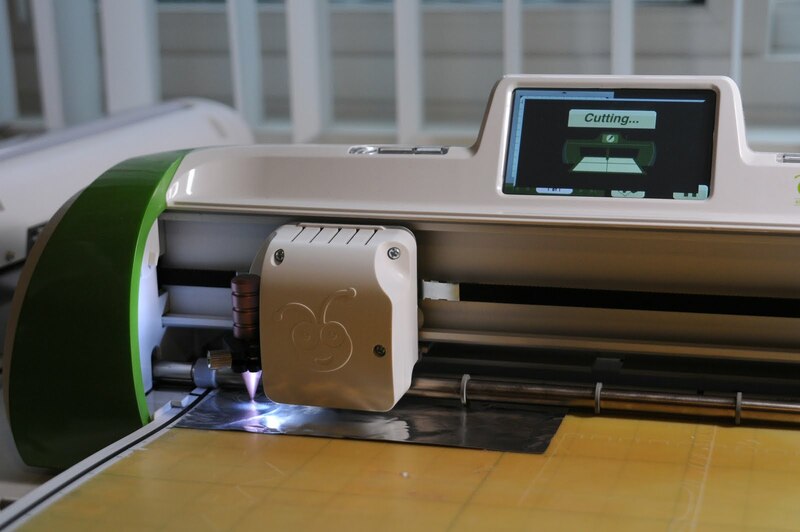 When using the Chomas Creations engraving tip, you just use it with a regular Cricut mat. 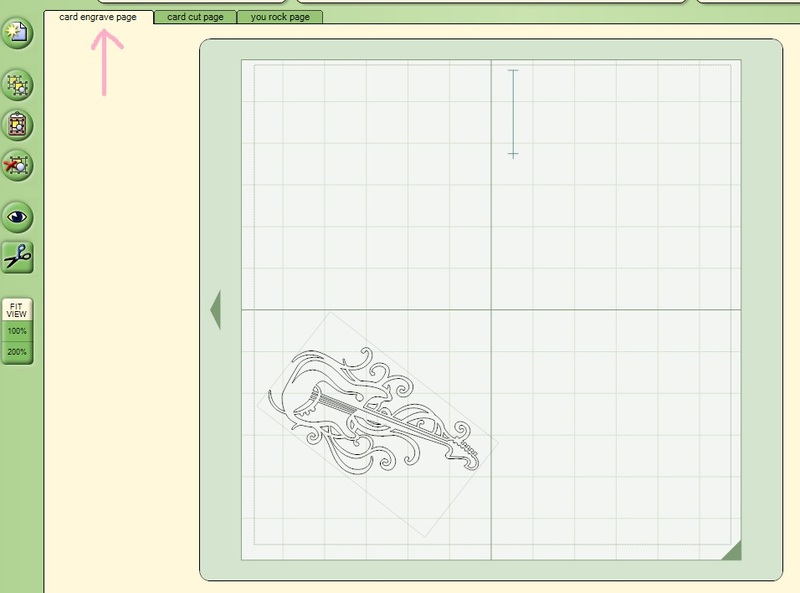 Now without removing the mat from the Cricut machine, replace the Chomas Creations engraving tip with the blade and cut the card cut page in Design Studio. I used multi-cut of 2 and max pressure and blade depth of 6 to get through the clear plastic. The clear plastic cardstock is very tough to get a picture of, but I always try! It shows up so much better in real life! The title was also cut from Hannah Montana and is in the file as well. 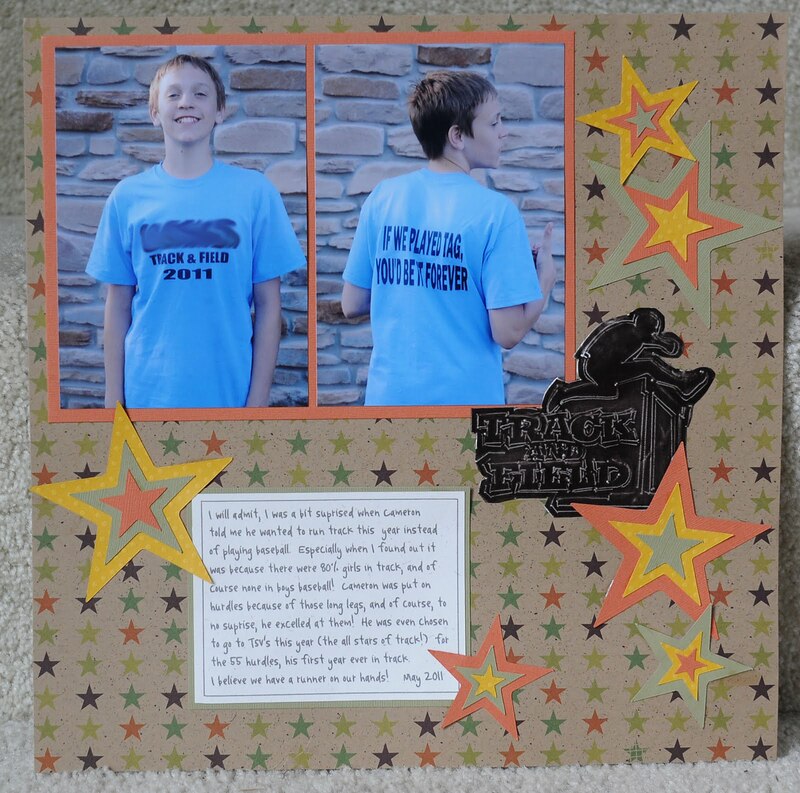 Click on the photos to see better details of my card! I also added some Memory foil tape to the edge of my card to make it rock even more! The papers are from Basic Grey's Oliver line and work so well for those manly projects you have to do! 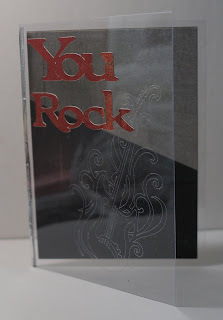 To thank you for stopping by, I've got some rockin' blog candy! If you are ready to try the Chomas Creations mini gel pen holder & mini gel pens, now is your chance to win them! There are a few rules to follow! First, you don't need to be a follower, but why not?? I am often putting up new project ideas, tutorials and videos! Second, don't forget to leave me a way to contact you! Super important lol! And third, only one entry per person (I have to delete more then 1). Come back tomorrow for another blog hop and for another chance to win! Don't forget to visit all of the stops to be eligible for the Cricut Cartridge A Child's Year. In case you get lost on your way through the hop, here is a list of all of the blogs along the way!